How much is Prince Karim Al Hussaini Worth? Prince Karim Al Hussaini net worth: Prince Shah Karim Al Hussaini Aga Khan (IV) is the current Imam of Nizari Ismailism and has a net worth of $800 million dollars. Hussaini was born in Geneva, Switzerland in December 1936. He is also a British business magnate and racehorse owner and breeder. Nizari Ismailism is a denomination of Ismailism within Shia Islam that has between 5 and 15 million adherents. He has held that position using the title Aga Khan IV since 1957. At the time he was 20 and succeeded his grandfather. 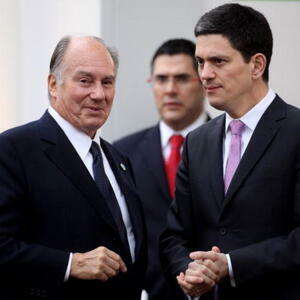 The Aga Khan is considered to be a direct descendent of the Prophet Muhammad. He is considered to be the proof of God on earth and is infallible as well as immune from sin. He has been named by Forbes as one of the world's 10 richest royals. He owns hundreds of race horses, stud farms, and a yacht club, but does not rule over a geographic area. He also owns a private island in the Bahamas, two jets, and a $100 million Pound yacht. Former French President Sarkozy let him off the hook for all forms of taxes and saved him estimated billions. He receives money from tithes and the amount, although not disclosed, is thought to be hundreds of millions per year. He has been married twice and has four children. He is also the founder and chairman of the Aga Khan Development Network.